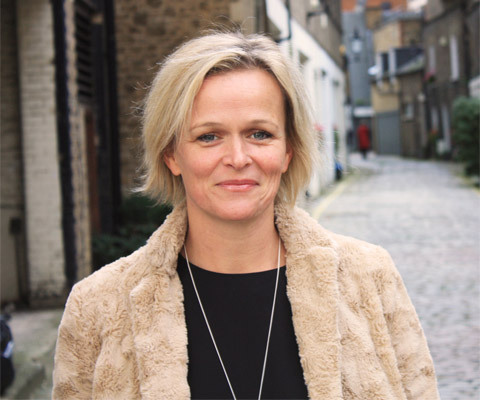 According to its managing director Fenella Grey, PR agency Porter Novelli has had a “rollercoaster” history in its 20 years in the UK – unlike Grey’s career, which has followed a much smoother trajectory. In our quick catch-up she describes her working life to date and offers advice about how to succeed in communications today. Originally I wanted to work at a magazine. I did a few internships with the Condé Nast group – including one at Vogue – which really inspired me to pursue a career in media and publishing in a wider capacity. I think she’d be surprised with where I am now, but also respectfully pleased with the course my career has taken. I think I’d have felt happy having known I’d end up where I am now as a teenager, definitely. I had a classic first break into our world, starting with an internship at an agency called Charles Barker. It was prolific at its time and eventually transformed into Weber Shandwick. I ended up working there for seven years whilst it went through a series of organic changes. There were plenty of challenges and opportunities throughout two acquisitions which made me realise how important culture is. I learnt lessons there that have followed me in my career – and many of which my team here at Porter Novelli will be familiar with; most noticeably, that hard graft, seeking and seizing opportunities and being proactive were the elements which were going to make me successful. I saw early on that people who waited for permission didn’t get far as it showed a lack of dynamism, and that’s something that I try to instil in my team. The best decision I’ve made was to take my current MD position at Porter Novelli. PN is a company with an enviable client list and a hungry team that’s making its mark in our world. The opportunity to get back on the contender list as an agency, and then win the PRCA’s international agency of the year last year, was too tempting an opportunity to ignore although it was a tough decision to leave Freuds! My biggest regret was not taking a position I was approached with in New York when I was 26. New York is the heart of the PR, marketing and media world and it would have been an eye-opener. London is, without doubt on the same global stage, but we still don’t quite compete on scale and size of work. Porter Novelli is a brand with great equity around the globe, as well as here in the UK, where it’s been for 20 years. It’s synonymous with quality, professionalism and good, hard work. Like any long-standing agency, it has had a rollercoaster history. The opportunity to inject dynamism, build a great team and get back on the radar as a true contender was the right kind of challenge I was looking for. Culture is the start point for me and typically when you’re part of a big holding company, it can be far too easy to take a ‘finances first’ approach. PN swings the pendulum the other way with a ‘culture first’ approach and as a firm believer of the service-profit chain, PN and Omnicom have enabled me to focus on this to drive business results. We have a great set of ingredients and cooked together with a new layer of a mission and ambition, we are on course for a third year of double digit growth and we intend to move from second fastest growing agency within the PN network to first. Keeping great talent fulfilled and motivated whilst finding inspiring people who are up for the highs and stresses of growth. Stay open minded, retain a genuine desire to get involved and have a point of view. You have to be curious to be able to formulate your own point of view. Find yours.